Αναρτήθηκε από George Portokalakis στις 11:54 π.μ. George Portokalakis 25 Ιουλίου 2015 - 11:59 π.μ. 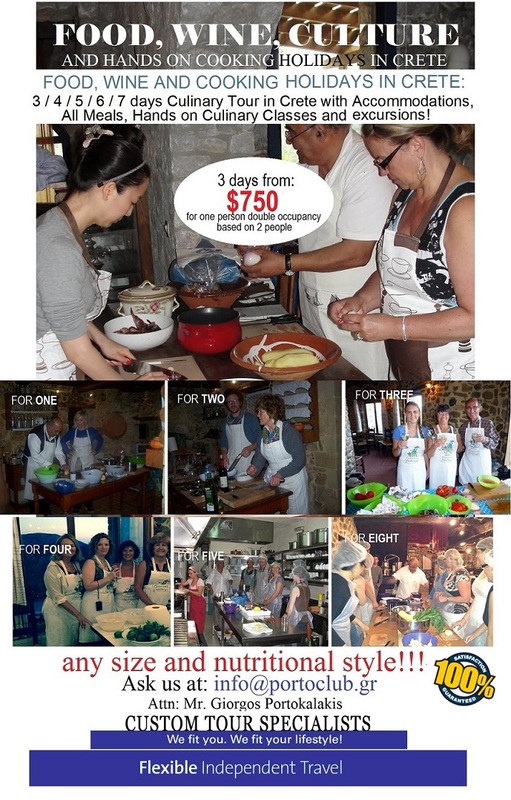 3/4/5/6/7 Days Culinary Tour in Crete with Accommodations, All Meals and Hands on Culinary Classes discounted cookery offer! !